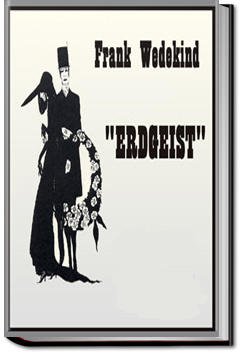 Earth Spirit (Erdgeist) is a play by the German dramatist Frank Wedekind. It forms the first part of his pairing of ‘Lulu’ plays (the second is Pandora’s Box), both of which depict a society “riven by the demands of lust and greed”. TThe eponymous “earth spirit” of this play is Lulu, who Wedekind described as a woman “created to stir up great disaster.” Indeed, she is a purely sexual creature who scandalizes the community and drives men to ruin. The play has attracted a wide range of interpretations, from those who see it as misogynistic to those who claim Wedekind as a harbinger of women’s liberation.